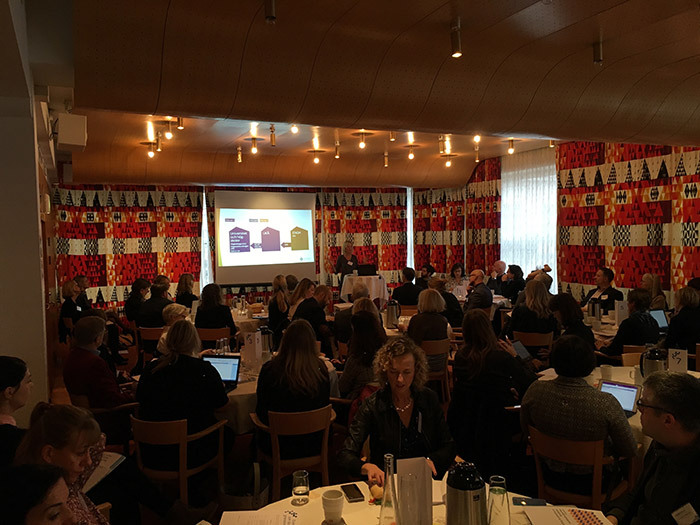 On Friday the Swedish Higher Education Authority held a dialogue seminar in Stockholm. The focus was on the Authority’s proposed “Guidance on review of quality assurance at higher education institutions”, which is intended in the first instance to govern the pilot evaluations carried out in 2017, but which of course may guide the new evaluation system in general. The participants from Uppsala were the Deputy Vice-Chancellor (writing here), Åsa Kettis (who drafted some of the material for this blog post) and Maria Wollters from the Division for Quality Enhancement. The new national quality system is basically good. It gives the higher education institutions (HEIs) greater ownership of quality assurance of individual programmes and encourages an all-round perspective on educational quality, as it encompasses preconditions, processes and outcomes. This improves conditions for quality enhancement and makes it possible to adapt the evaluation to optimally suit each programme. This change gives Sweden a similar system that to the one used in most other countries, such as our neighbours and the UK. 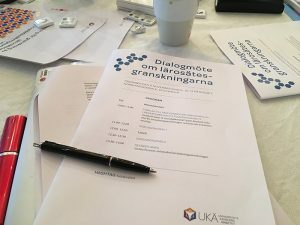 Uppsala University has already reacted and is now starting to implement its own model of educational evaluation, in accordance with the Vice-Chancellor’s decision – a model designed with the extensive involvement of the University. Each aspect area includes several aspects and for each aspect a number of criteria are specified. Even though many of the criteria are reasonable and derive from Swedish legislation and/or European Standards and Guidelines (ESG), the overall picture is complicated. The terminology contributes to this. For most of us, ‘aspects’ and ‘perspectives’ are completely synonymous terms, so it is unclear how they differ from one another. Otherwise, we think the Swedish Higher Education Authority’s proposal gets it wrong primarily on one key point. In the new national system, the HEIs can initiate their own educational evaluations with external review if they consider this appropriate, but the Authority does not actuall expect this of them. This is aiming low, and in practice means that not all education will be subject to external review, which is a step backward compared with the system between 2011 and 2014. Uppsala University and some other HEIs, such as the University of Gothenburg, are now launching ambitious systems in which in principle, over a six-year cycle, all education will undergo a full evaluation based on ESG and including external review. This is the most important, and most substantial, component of Uppsala’s new quality assurance system. If an HEI chooses to introduce such a system, you might think the Authority’s review of the HEI should primarily focus on ensuring that the educational assessments work and fulfil their purpose. However, the proposed model has no such focus, and this is unfortunate. Local systems involving external educational evaluations are more results-oriented and considerably sharper than other systems, but this is not clearly acknowledged by the Authority. One proposal that came up at the seminar was that HEIs that have their own educational evaluations should be subject to a more focused and less comprehensive assessment than those that do not. This would be more appropriate and would enable the Authority to conduct better-focused HEI reviews at a lower cost. It would undoubtedly be a more rational and efficient arrangement. In 2017 a number of doctoral education subjects at Uppsala University will undergo evaluation by the Authority: computer science, economics, ethics and the history of religions, art history, education, psychology/applied psychology, and history. According to plan, Uppsala will then undergo an HEI review in 2020 (along with Lund, Gothenburg, Stockholm and Linköping). Read more about the timetable here (in Swedish).